The SQL Server AMA thread on reddit is now live, you can start asking questions now and they will start answering Friday 11/18 at 9:30 PDT until 14:00 PDT. One person already has a ton of questions, just look at this list, some of these would really make a nice addition. 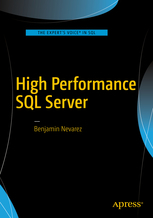 SQL Server is a great product, thank you for it, but we need more from you. native regular expression support! Don't force every user to implement their own CLR, just give us optimized regexes! 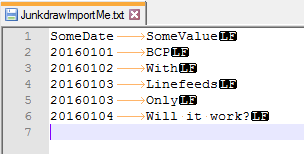 column name in 'string or binary data would be truncated' message! This list is by no means exhaustive. Most of them are just features desctibed in ISO/IEC SQL standard. A lot of Connect feedback has been prematurely and improperly closed with various reasons: Won't fix, by design, some are active for ages. What I would ideally want from you is to review all unfixed items and decide again whether they're worth doing or not. Like this one - 124 votes and closed/won't fix! This one - 179 votes - active since 2007! Some limitations are just silly, like the one requiring something to be a single statement in a batch. If I can bypass that requirement by putting my code in a dynamic SQL and do EXEC(string) then why SQL Server cannot do that for me?? Finally the question: do you acknowledge this? Will you fix all this? Any comments?